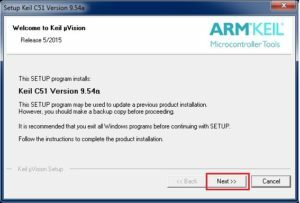 This post is about how to install keil to program 8051 Microcontroller. 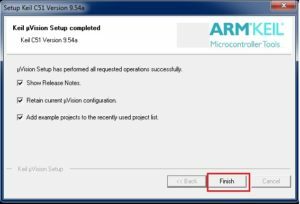 As we know to do anything with microcontrollers, we must have to program them first. 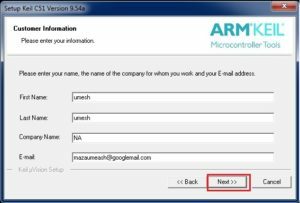 So It’s very important to understand how to load software or program into the microcontroller while developing any Embedded Application. 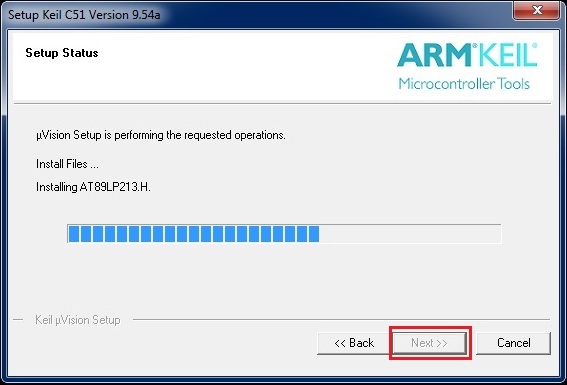 This process often called as ‘Loading a firmware’. 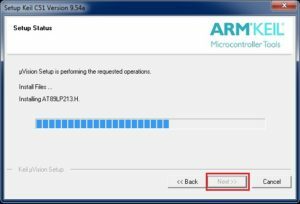 So before loading any program into the microcontroller we must have to write a code or program either in assembly, C or C++. And then compile that program using compiler to generate hex file which we’ll burn/load into microcontroller. 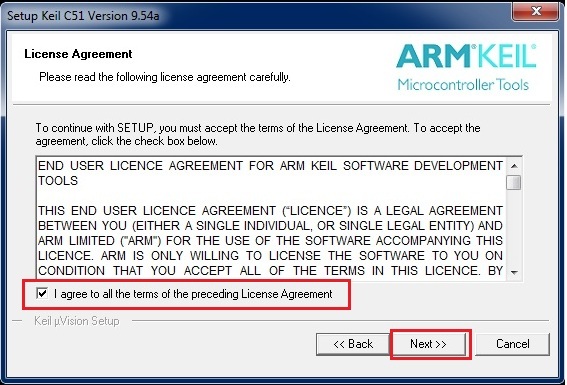 There are several software’s available to compile program and also to load HEX file into 8051. Here we’ll use Keil MicroVision an Integrated Development Environment (IDE), which integrate a text editor to write programs, a compiler which convert your source code to hex file. Later on we’ll use Flash Magic utility to load HEX file onto 8051 Microcontroller. 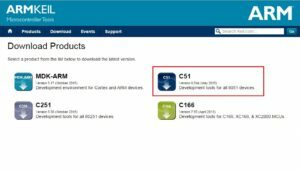 Go to https://www.keil.com/download/product/ –>Download –> Product Downloads –>Hit on C51 Setup. 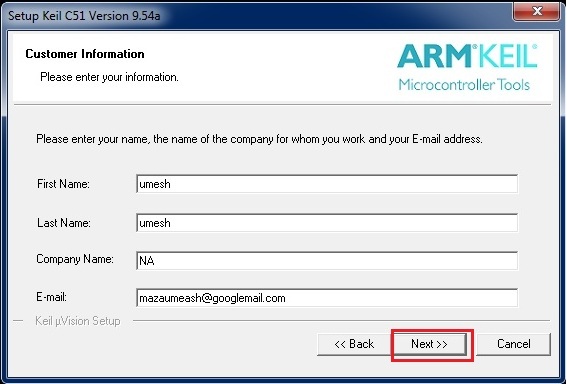 Enter your contact information with valid address, phone number and email. Fill in all fields of form. Download is free for evaluation version. 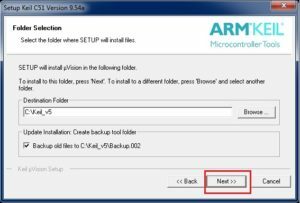 Then click on C51V954A.EXE and Download it on your computer. 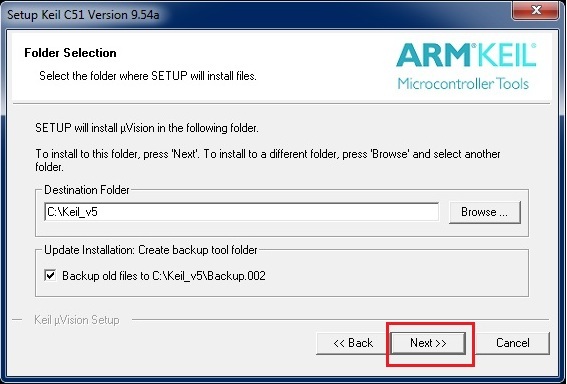 Next step is to run setup file C51V954A.EXE and then we’ll get pop-up box, hit on Next and Proceed Installation. 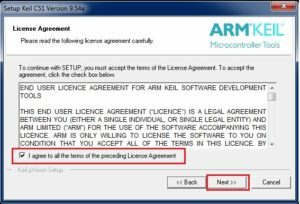 Read license agreement, check I agree to all the terms…., and click Next. Select Destination folder where you want to install Keil or default destination is already there. And hit on Next. Fill up required fields with all relevant information and click on Next. Wait for installation completes and hit on Next. Tick on show release notes, deselect remaining (as per your choice) and click on Finish. 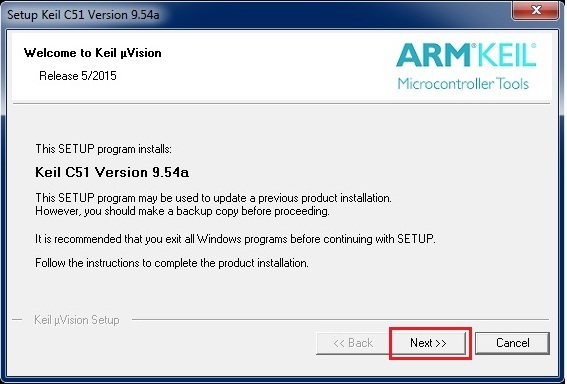 Now we’re done, install Keil to Program 8051 Microcontroller under windows. We hope you will find this tutorial educational. If you have any question then please feel free to leave a comment. 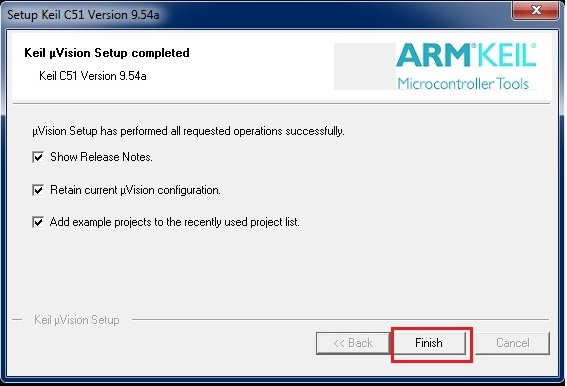 Thanks and see you in next tutorial where we’ll create fresh new Keil uVision project for 8051 Microcontroller.